The perfect treat for chocolate-lovers everywhere, these Chocolate Fudge Brownies are gently crisp on top and gorgeously gooey inside... total chocolate heaven! So grab your apron and mixing bowl and fire up your oven to 180°C (160°C for fan assisted ovens)/ Gas Mark 4 – let’s bake up a batch! 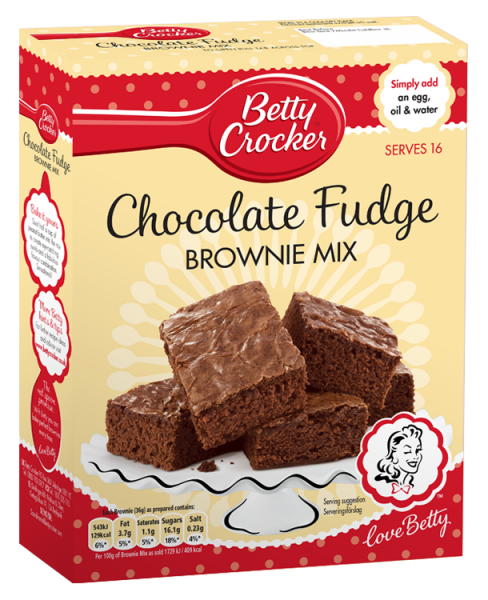 Sugar, wheat flour, fat reduced cocoa powder (7%), palm fat, salt, modified corn starch, raising agents: sodium bicarbonate, monocalcium phosphate; flavouring.